Also, Stephen Moyer's Southern accent is atrocious...and it's actually getting worse. Did you get his dialogue coach with a Groupon or something? And no way in heck could a gathering in Dallas be attacked and not a single Texan return fire. I realize it's asking a lot for a show about vampires and fairies to be realistic, but come on. And, oh, anyone want to take a guess on how much shrieking there would be from the left if a TV show called Democrat women the C-word like y'all did with your little "Republic**ts" slur? Again...bless your ignorant, close-minded moronic little hearts. 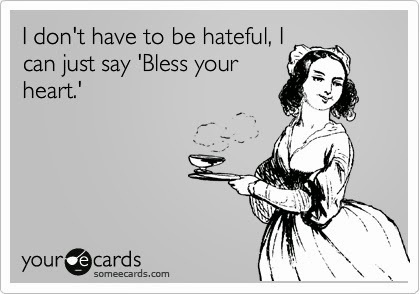 Amen, bless my heart. And may your heart is fulfilled with true love blood. Thank you for sharing this.